Your four-year-old child seems to be into everything. He's perpetually on-the-go, can’t sit still long enough to finish his snack or listen to a storybook, gets distracted easily, moves from one unfinished activity to the next, throws major tantrums when frustrated, interrupts conversations, snatches items impulsively from the hands of another, doesn’t slow down enough to follow directions and is restless and squirmy. Could he have ADHD? Diagnosing ADHD in a child this young is tricky. How do you distinguish normal four-year-old behavior from ADHD behaviors? Almost all of the behaviors described above are developmentally appropriate for a four-year-old. You probably don’t know many four-year-olds who aren’t impulsive, squirmy, active and full of energy. How does your child compare with his peers? Is the behavior similar to other children this same age or is this behavior more extreme, more disruptive? Is the behavior leading to chronic problems in daily functioning? Does the behavior occur in more than one setting (for example, at preschool, and at home)? Is the behavior innate to the child or could it be caused by other factors and conditions? Your healthcare provider must gather information in order to make the diagnosis. Many are reluctant to diagnose ADHD in a child under 5. It is important to rule out any other causes for the behaviors -- anxiety, learning disorders, sensory integration issues, sleep disturbances, and more. A thorough medical, developmental and family history is essential as well as detailed information from parents, teachers and any other adult that has contact with the child in other settings. Often, a neuropsychological evaluation is helpful. goals and rewards are simple environmental changes that are often enough for these young children. These interventions may even help prevent the negative self-esteem issues that develop after repeated frustrations, failures and negative interactions with others. For children with more severe ADHD symptoms, a low dose of stimulant medication may be recommended if environmental changes are not enough to significantly improve symptoms. These young children must be closely monitored when on any type of medication. 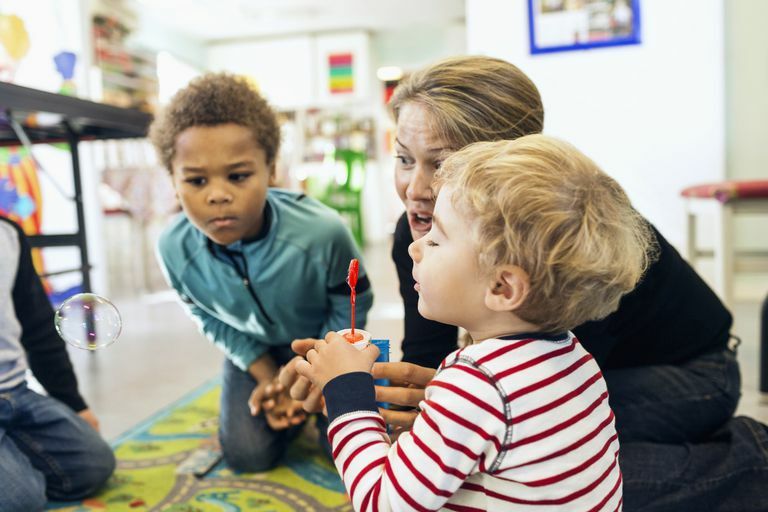 Identifying children who may have characteristics of ADHD early on and getting parents and preschool teachers the education, skills, and support they need to help these little ones can really have a positive impact on these kids and their families. Awareness and early detection can be a good thing! Can You Develop ADHD in Adulthood Instead of Childhood? Could You Have Adult ADD and Not Know It?